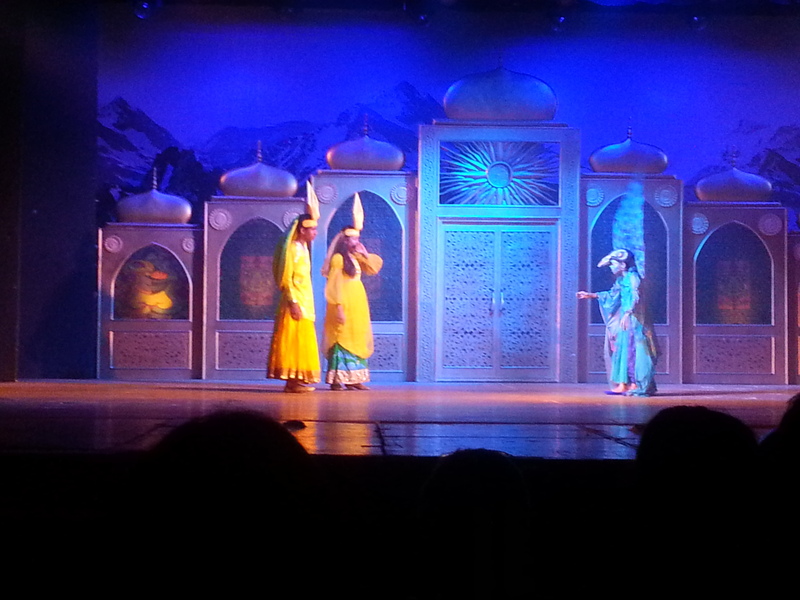 I went to watch “The Maya Musical” yesterday, and I loved it. 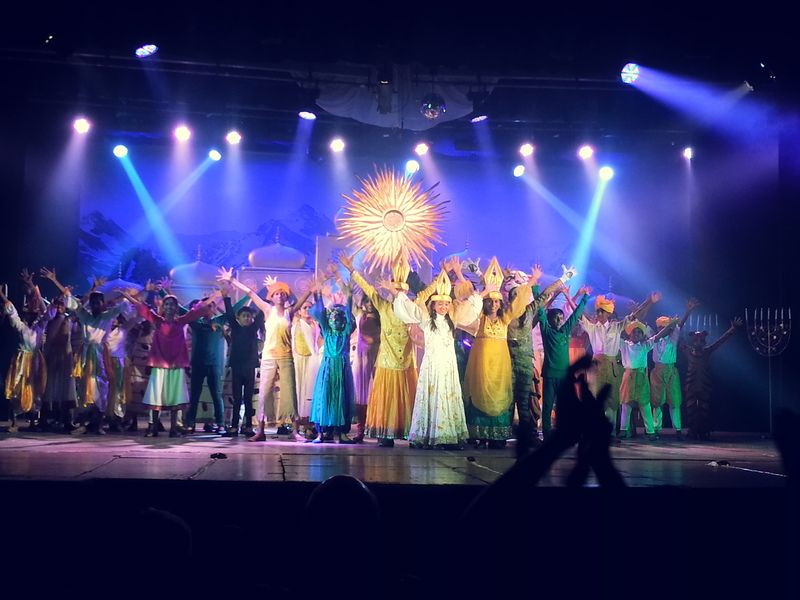 Months of hard work was put in by the Teach For India kids and their teachers into the musical, and it showed. Awesome costumes, great Broadway-styled music, good script, and the great acting by the children made it a show to remember. 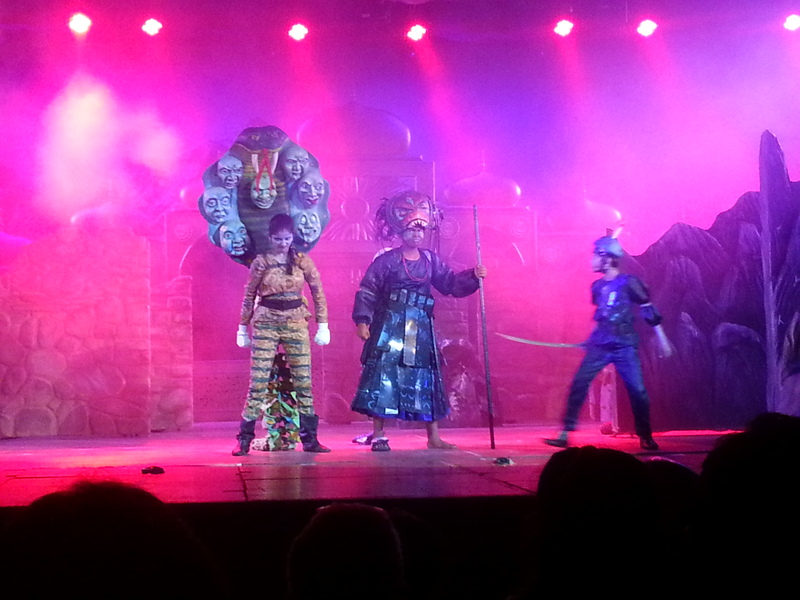 The children, especially the girl cast as the nine-headed snake, were very expressive, and it was a little hard to believe they were acting on a stage for the first time. 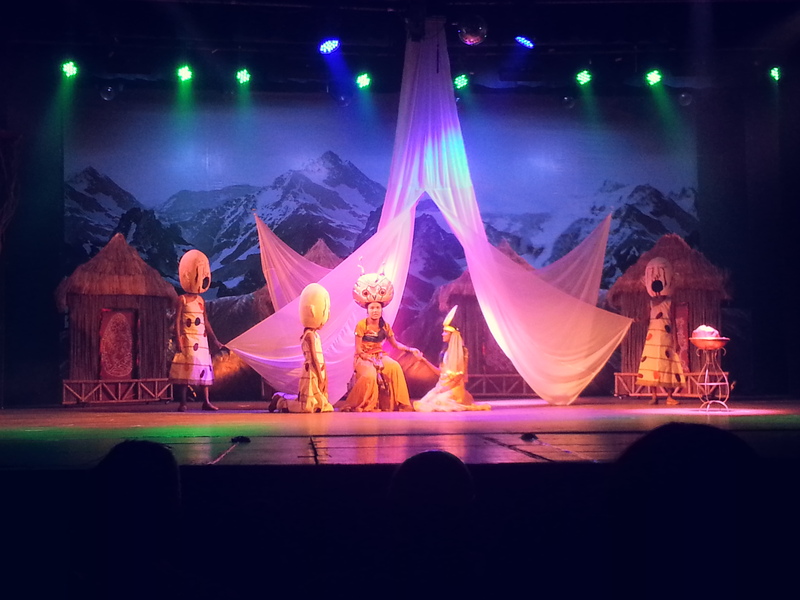 The story is about princess Maya who, in order to save her kingdom, has to travel through the world and lift three curses cast upon it using values of courage, compassion, and wisdom. The story stresses that each of us has a light inside us, and each of us is capable of achieving our greatest potential by finding our light. Sadly, my photos aren’t clearer because I didn’t take my camera with me, and shot these pictures with my mobile instead. But, I would agree with what Rodney Bliss says in Why Writers Are Better Than Photographers, and say I was better off without my camera there because I was able to immerse myself into the story, without having to keep thinking about how to capture the next shot. 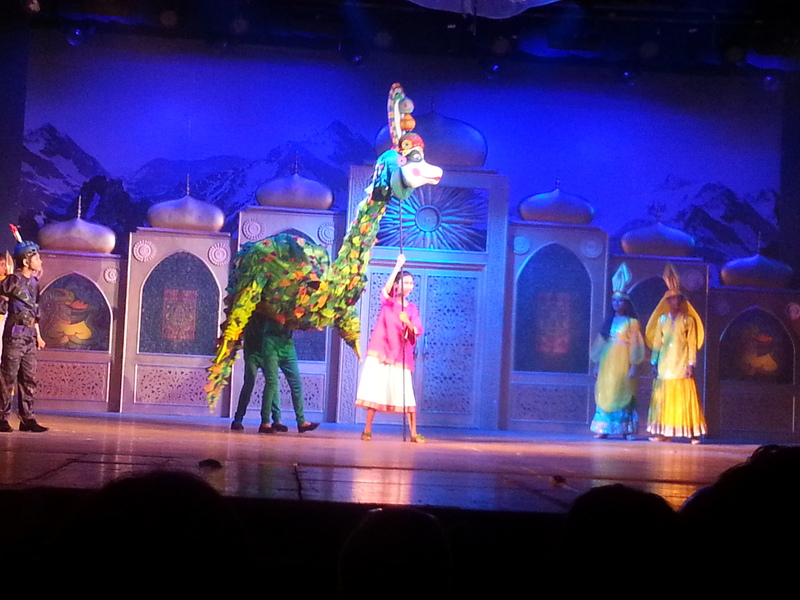 I was able to enjoy the show more. I couldn’t keep myself from taking a few pictures to keep as souvenirs, but I didn’t put much of my thoughts to it. This entry was posted in a little here..a little there... and tagged musical. Bookmark the permalink. ← Are you going to clean up after you have had all the fun? We enjoyed it the most. I really appreciate the effort of team.